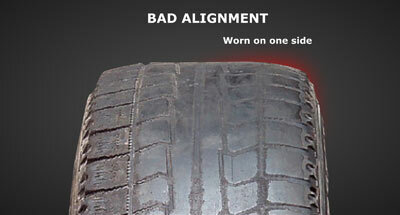 Wheel Alignment or tracking, is important for good road holding and to maximize the life of the tyres. Hitting a kerb or driving at speed through a pot hole can result in misalignment. Incorrect wheel alignment can result in rapid wearing on the edges of the tyre and could affect the handling on the vehicle and certainly mean a replacement earlier than would otherwise be required.